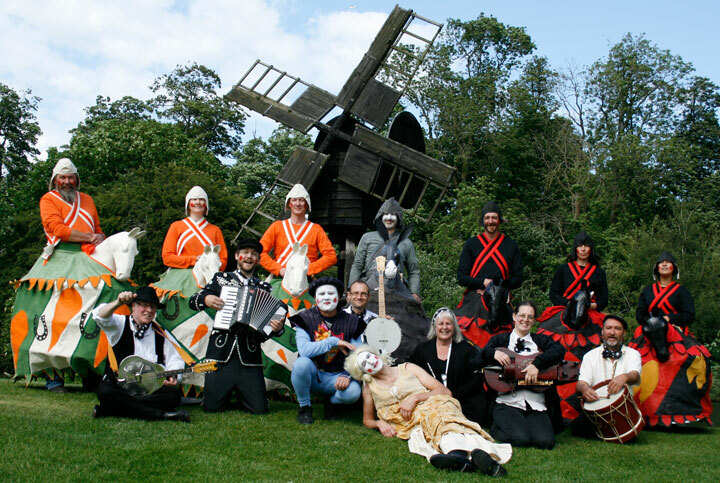 Brighton Mummers were established by Graeme Walker who had grown up with Mummers plays in his home town of Headington, Oxfordshire. In 2002 he helped found the Byker Mummers in Newcastle Upon Tyne and after he moved to Brighton in 2007 decided to start a group there as well. The Brighton Mummers, also known as Tipteers in Sussex, perform throughout the year and are named after their mummers play which they perform around Christmas time every year, particularly on Boxing Day (St Stephen’s Day). They also lead the annual Hollingdean and Stanmer Wassail, also known as a Howling, blessing the apple orchards on the first Saturday of January. Ladies and gentlemen, give me what you please. No one likes it better than I. Over the years, the Brighton Mummers have met and heard of many people having taken part in mummers plays in Brighton and yet this is the only fragment found, thus far. If you have been in a mummers play in Brighton before 2007, or knew someone who has; or if you know any lines or songs, please get in touch. Brighton Mummers are an open group and all are welcome to come on a Wednesday, 7pm, Coachwerks to get involved in social and fun theatre, singing, and dancing. Membership is free.